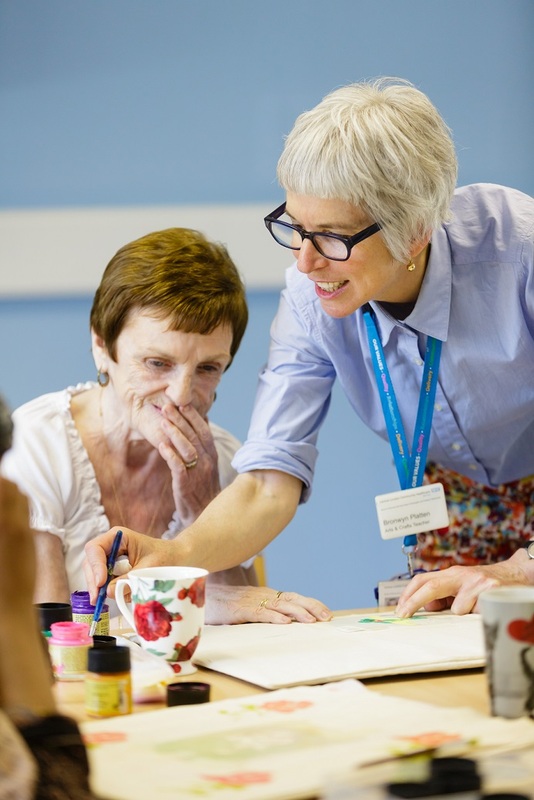 Bronwyn runs art sessions for Pembridge patients at the hospice and through home visits. She holds a PHD in the role of art in healthcare and has worked in hospitals and hospices in Australia and across the UK for over 30 years. How do you work with patients in your art sessions? I really enjoy taking a hands-on approach and getting to know everyone’s needs and abilities. Then I can come up with techniques that achieve what they want to do. 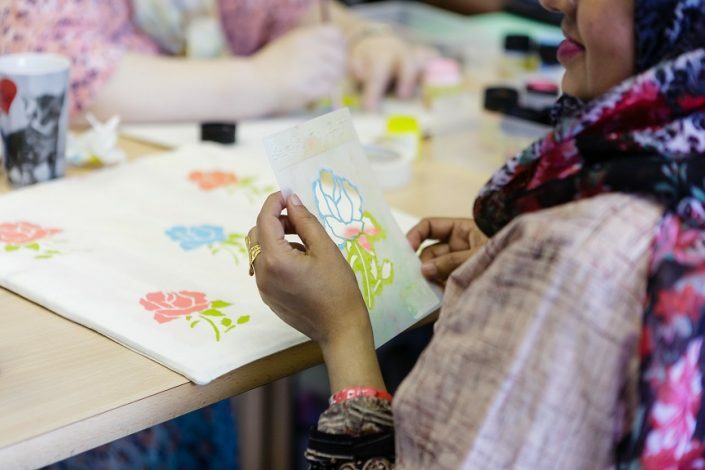 We work on anything from drawings to creating custom printed canvas bags, tie-dying scarves, clay modelling, postcards and much more. Being adaptable to support people who may have difficulty using their hands or who are suffering with a certain healthcare problem on that day is really important. I think we take a very complementary approach at Pembridge. Art, massage therapy, spiritual care and other services all work together using different techniques to ultimately support the well being of our patients. I love seeing the transformation that can take place in people through our art sessions. 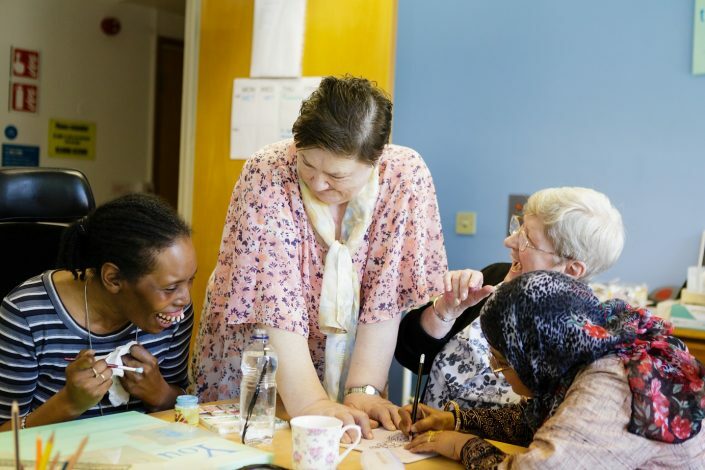 People can be in pain, feeling lonely or just a bit down but we work together to empower them and unlock their creativity. The social atmosphere is one of the best things about the art sessions. We don’t just focus on art and it can be an important time for people to open up about their illness in a way that they couldn’t do in another setting. One patient came here who had been an artist as a younger woman. She gave up art when she had children and couldn’t imagine doing it again, but little by little her artistic side flourished and she got really involved. Her daughters were amazed to see this side of her and witness their mum growing back into her former artistic life. I went to her funeral and I immediately knew who all of her daughters were because they were wearing the scarves that she had made for them in our art sessions. How do charity donations support your work? 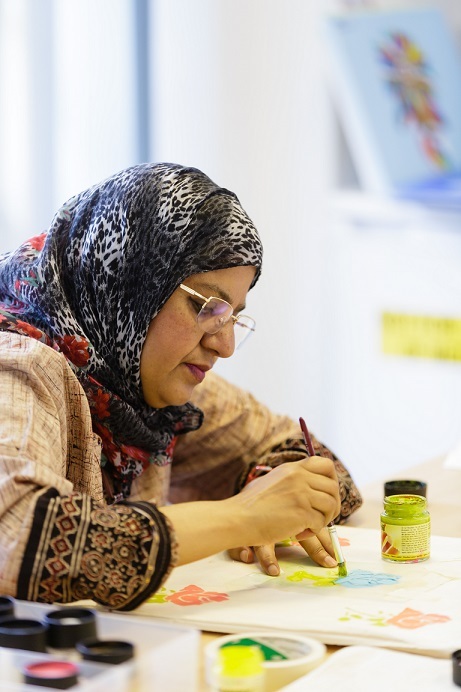 With more funding we can maintain and expand what we work on with patients, giving even more opportunities for people to express themselves. Our patients and their families are so incredibly generous too. We have people donating wool and art materials all the time. What does Pembridge mean to you? But like a family we are not happy all the time! We get to know a lot of our patients and their families really well over the years. There are inevitably highs and lows but we always try to be very supportive to each other – even the patients to the staff sometimes! What do you look forward to most about your job? People tend to laugh a lot and our art sessions can be quite silly. We genuinely have a great time together. I really like the idea of ‘deep play’, which means that you are doing something playful while also having the opportunity to explore yourself deeply. 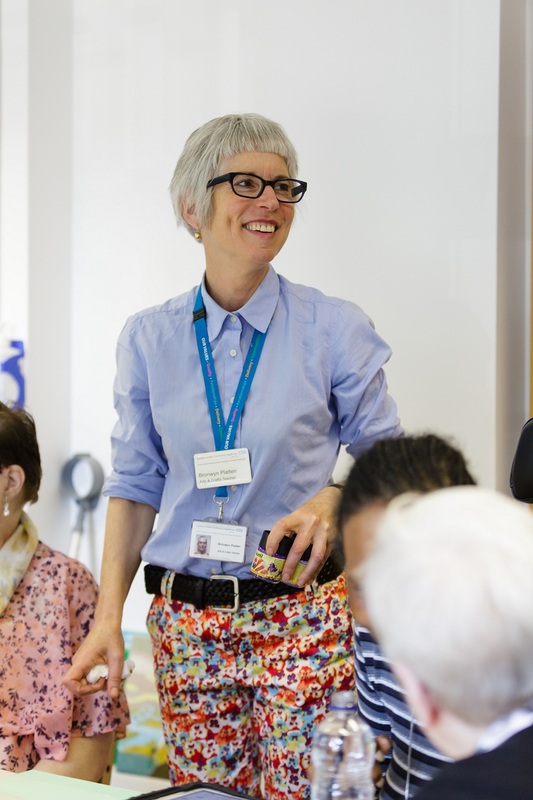 With your support, Bronwyn can continue her vital work helping dozens of our patients every week to enjoy life and take a break from their illness.